There is a generalized idea about the great fire resistance of reinforced concrete. This only occurs on high thickness elements and dense reinforcements coverings. 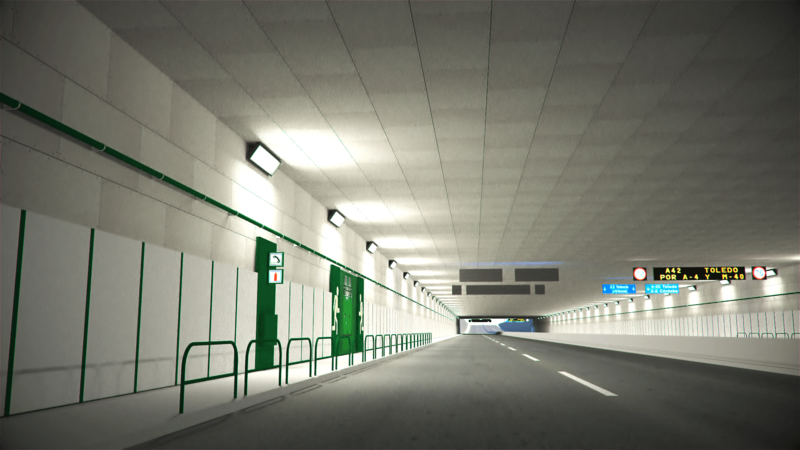 Nowadays, constructive systems use the minimum sections according to the standard and, in some cases like tunnels, concrete must be protected in case of fire to avoid its breakdown. Which regulation must be complied? 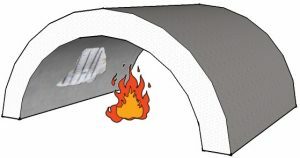 The problem is that thicknesses and reinforced coverings are complied according the CTE, but when a fire takes place inside a tunnel caused by combustible elements (vehicles with filled gas tanks, trucks with flammable cargo or combustible liquids…) or by its own characteristics, the tunnel becomes a real oven. This causes that special measures are taken to protect the concrete. The ISO standard curve used in building construction is insufficient on tunnels. 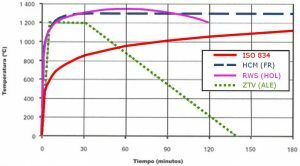 Other countries have suffered several tunnels accidents with many mortal victims and their temperature curves are stricter. In Germany, we find the RABT/ZTV; in France, the HCM, derived from the hydrocarbon curve and modified to consider the higher fire loads in tunnels; in Holland, the Rigswaterstaat or RWS, based on a real test of a tank truck with 50.000 litres of combustible burning for two hours inside a tunnel. This curve is the one with higher temperature: 1.350º C.
An special phenomenon takes place on concrete when it quickly rises its temperature: the SPALLING effect. This causes a chipping on the fire exposed side of the concrete, usually preceded by an explosion of splinters. At 400º C, the calcium hydroxide of the cement dehydrates and creates water steam according to the formula: Ca(OH)2 –> CaO + H2O. This causes the break of chemical union links between the concrete molecules that makes it loses its resistance. Also, tiny water bubbles become steam on the exposed side and put pressure over the material, which explodes and throws pieces close to the chipping. At the same time, the reinforcement of the concrete remains exposed, which reduces even more it resistance. mercor tecresa® R&D department has been working for years to give solutions to this problem. Multiple solutions have been tested with Tecbor® Boards, both in laboratories and in real tunnels, which guarantee the resistance of the concrete for more than two hours exposed to the fire. In most tests, we have used the RWS dutch fire curve, since it is the one with higher temperature and allows us to comply the rest of curves used in other countries. One of the most used solutions is the one with Tecbor® Board 23 mm to get two hours of fire resistance under RWS curve, directly settled on a concrete slab of 120 mm. That panel has been also tested on suspended ceiling with a result of 180 minutes of fire resistance under the same RWS curve.